1 From prototype -> working supply chain in 9 short months. Kickstarter orders fulfilled and now ready to launch first marketing campaigns. 2 85% cheaper than closest alternative. 3 $200,000 pre-sales in successful Kickstarter. 4 30 min wait time for scientific results. 7 Select Investors: Naval Ravikant, Mac Cowell, Jude Gomila, Stephen Taylor. Co-founder OpenPCR and Bio Curious Lab. Previously Tech Lead at Cisco, Dir. of Engineering at Vidiator. Biohacker by night. Because enabling doctors to run DNA tests for Ebola, Dengue and other diseases in the field is super important, and a huge market. Helping food entrepreneurs ensure their products are bacteria free, or to breed a plant with special therapeutic qualities is just around the corner. The testing technology (PCR) inside ChaiBio has been around for 20 years. 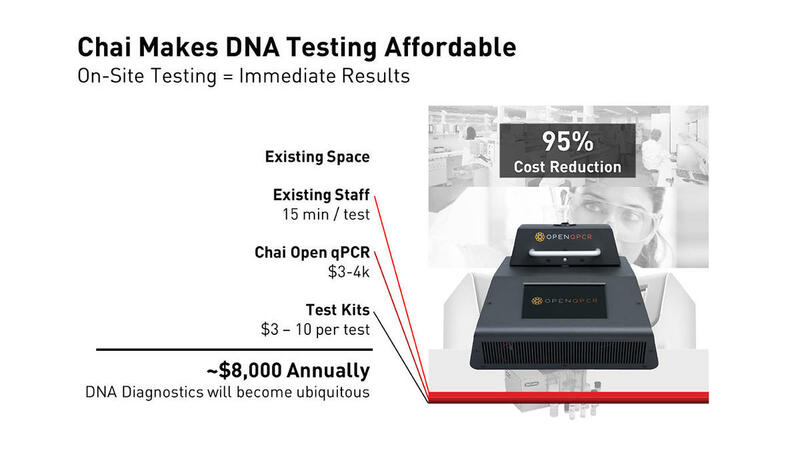 Even without the new markets Chai is opening, there is already a $20 billion market for PCR machines today. The founders have simply used their software and user interface expertise to make a device that is cheap, small, and simple enough for anyone to use. ChaiBio is riding the wave of a synthetic biology revolution. Like hardware and software before it, infrastructure is being built that drives down the cost and complexity for anyone to run science experiments, or start synthetic biology companies. ChaiBio a key part of this, and we want a future where 10x more people are trying to innovate in science. Josh the wonder wiz. By far one of the smartest people I have worked with. His technical expertise and ability to execute and deliver are unmatched. Josh is focused, resilient and open to feedback. As investors, we have been impressed by his ability to execute and are excited to support his ambitious vision. Co-founded Epinions. Nominated for the Angel Investor of the Year. Active Angel investor, and have invested including Twitter, Uber, Yammer, Stack Overflow and Wanelo. CTO, founder of Lookout. 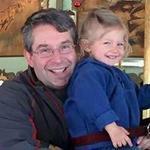 I do security, privacy, mobile, web, data, product, and patents. I invest in things that need to exist. Founded diybio.org and genefoo.com. SynBioLeap '15 fellow. I make biotechnology easier and more fun for all. Ex Air Force Pilot running a successful Services company, Skye Flight Services. What’s interesting to me is that people who want to deploy dozens of machines throughout western Africa are coming to us rather than the established players. Open qPCR certainly doesn’t have the features of the higher-priced machines, but it performs good enough at a price point that works in their situation. Aimed toward the biohacking set, Chai says the open-sourced PCR machine can be modified to detect foodborne contaminants like E. Coli or Listeria, identify fraudulently labeled food, or even diagnose infections like HIV and Malaria. The company, Chai Biotechnologies, this week launched a Kickstarter crowdfunding campaign to help shepherd the product to market. With unprecedented speed for a hardware startup Chai has gone from prototype -> scaled production in just nine short months. Here you can see the factory floor in California. Our feature interview with CEO Josh Perfetto and the Kickstarter video that helped sell $200K+. Chai's machine is 15% as expensive as the next cheapest alternative. Even with 40 custom parts and production in the USA they still earn 70% margins on the hardware. Our machine identifies specific DNA or RNA sequences in a sample indicating the presence of certain pathogens or genetic traits. For example, it could be used by a doctor testing for malaria, a brewer testing for spoilage organisms in a new batch of beer, or a farmer looking for the highest quality genes among a herd of animals he’s breeding. We want to make this essential technology available to everyone, including doctors in developing countries, students in high school and university labs, companies in the food supply chain, and biohackers who are developing some of the most innovative synthetic biology applications. Over the past two years, we've designed and prototyped an open-source instrument that can perform the above mentioned tests, but costs less than a tenth the cost of other commercially available systems. Now, we're ready to share it with the world and see what others can do with it. We focused on making the software as user-friendly as possible. While there's powerful functionality available for scientists, the machine also interprets the data and presents clear positive/negative results to end users. PCR DNA detection is used in a variety of industries. 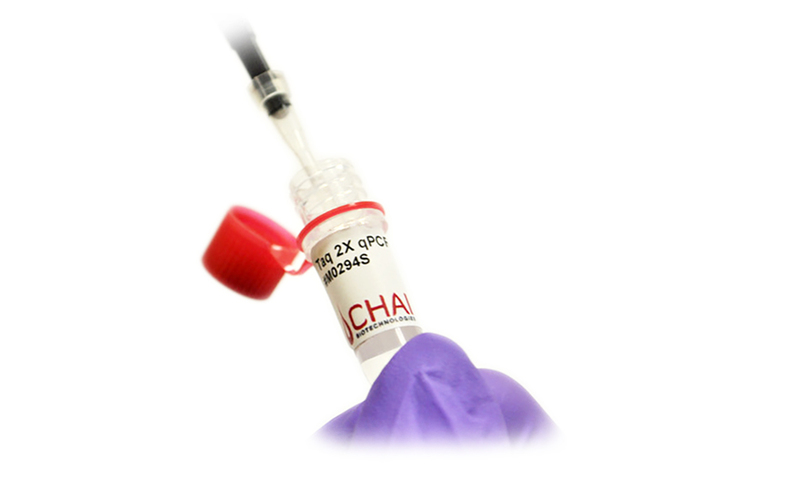 Anyone that needs to detect the presence of a malicious disease, a food contaminant, or genotype might use Chai’s Open qPCR. 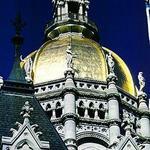 Early clients include universities, doctors, public health initiatives, farmers, brewers, and veterinarians. Discover what your genes say about your athletic abilities. Genotype hereditary traits, such as BRCA variants linked to breast cancer. Selectively breed animals based on desired genotypes. Identify E. coli, Listeria, or Salmonella in food supplies. Monitor water quality by testing for pathogens and indicator microbes. Detect horse meat in your hamburger or dolphin meat in tuna. Analyze the level of gene expression in cells. Get immediate feedback on whether your PCR worked without the need to run gels. Engineer biological systems by manipulating and re-arranging DNA. Detect viruses such as HIV and Ebola. Test insect vectors for diseases such as Malaria or West Nile Virus. Right now cutting edge biotech can only be done in expensive laboratories. Our vision is to bring tools reserved for well funded scientists to the masses. The Chai machine is 10x cheaper, simple to use and light enough to carry at only 10lbs. The Global Health applications alone are huge, enabling doctors to diagnose diseases like Malaria in the field for the first time. Early customers include: brewers, farmers, breeders, and universities - we’re creating an entirely new market of biologists. Right now DNA diagnostic technology is only available to scientists who have research budgets that can accommodate a $20k+ machine. There's a vast opportunity for diagnostics to be used more broadly if the price of the machines comes down and tests are made easy enough to perform so even non-scientists can use them. We make machines that are 10x cheaper than the alternatives and simple enough for anyone to use. What does your machine do? Our machine identifies specific DNA or RNA sequences in a sample that indicate the presence of certain pathogens or genetic traits. For example, it could be used by a doctor testing for malaria, a brewer testing for spoilage organisms in a new batch of beer, or a farmer looking for the highest quality genes among a herd of animals he’s breeding. We basically detect the DNA sequence targeted by a specific test, quantify how much DNA is present, and then give them a diagnostic result. Say you’re a doctor testing somebody for Zika virus. If you want to see if there's virus in their blood, it's very difficult because even if it’s there, the portion of viral RNA in the patient’s blood is very small. It’s like looking for a needle in a haystack. What our machine does is take the Zika virus’ RNA, convert it to DNA, and amplify it exponentially so that it will be at a detectable level. We then are able to use the amplified DNA sequence as a proxy to know whether the person is infected with the virus. This is a very broad technology, it can be targeted to any pathogen of interest, any bacteria, any virus. It also is able to do genotyping. We can determine which variant of a gene somebody has, which can indicate a predisposition to certain hereditary cancers for example. Why are you better than the alternatives? We are 10x cheaper than the existing machines, small enough for scientists to take with them when they need to do on-site testing, and easy enough to use that you don’t need an advanced degree to run tests. The existing machines range from about $20,000 to $60,000. So unless you work for a well funded lab, you can’t afford one. Also, if you need to do testing in the field the current machines are just too large and weigh over 50 pounds. Our machine weighs less than 10 pounds.Meanwhile, customers who can’t buy a machine will send samples to an outsourced lab. But waiting 3-4 days to get results makes outsourcing impractical for the food testing markets where you need to know whether a sample is contaminated right away so that you can ship product before it spoils. In a global health context, imagine you have a patient that has come to your clinic with some bad symptoms, and you need to decide what to treat them for, or whether to isolate them. Basically, you want to be able to get that determination in 30 minutes to an hour. Whereas sending them off-site may be a one or two day trip by car to your nearest centralized lab. That's a radical difference in level of care you're able to provide.Outsourced testing is also going to run you at least $20 - $30 per test which is much more expensive than buying our machine since it will only cost about $5 to run each test with us. Another really attractive point of our machine is that the software and APIs are open source. The traditional machines work like this: you run it, see the result in a proprietary format and then you can only analyze it on specific pieces of the software. We completely open up that equation. You can save it in a standardized format, you can use any sort of software you want or even write your own software. If you’re a scientist running a unique test, our API allows you to automate data collection, which has never been done before. How much easier is it to use your machine than the alternatives? We make it so anybody who can follow some basic directions and perform laboratory pipetting—which takes one to two hours to learn—can accurately perform the test. You go up to the machine, and the touchscreen gives you explicit instructions, like “take the pipette from your sample to this tube right here and then put that in the machine”. The test kit also has the reagents necessary for particular tests. You buy the test kit, follow the pipetting directions, put it in the machine, tell the machine which test kit you have, and it configures itself. It knows how to run the test, it knows how to interpret the data, and instead of giving you the scientific data as an output, it gives you very clear diagnostic results: “Sample 1 is positive, Sample 2 is negative”. If something doesn't work it will say “Sample 3 … indeterminate”. With our machine you don't need to be a scientist to analyze the data. When did you last raise money? What have you accomplished since? We started with a Kickstarter campaign in fall 2014 that raised $200,000. We then raised a seed equity round of $850,000 in December of 2014.With that money we hired a Head of Operations whose organized our entire manufacturing and shipping line as well as a senior scientist who has spearheaded our reagent R+D department.Before our last round we only had a working prototype – now our production line is churning out 25 new Open qPCR machines every week. Since we’ve started shipping, customer feedback has led to a lot of hardware and software improvements. We’ve also spent the last year developing test kits which include all reagents needed for diagnostics in an easy to use format. These make it simple for anyone to get their hands dirty with the Open qPCR and will really help us engage with the non-scientist early adopters. The machine is a one time sale - but our real revenue opportunity is the consumable reagent kits required for every test. This is the ongoing revenue stream we’re looking forward to once many more machines are in labs and hospitals and in the field testing everyday. We will continue to spin off new reagents and new kits that scientists of all skill levels and disciplines can use in their work. Up next will be enzymatic DNA extraction buffers for plant and animal cells.The $3,000 price tag is still an impediment for some buyers so this year we plan to design a scaled down version with a ~$1,000 price tag. It will be battery powered and even more portable than our current machine but probably only process 2-4 samples at once vs. the current 16. We think this could be the machine that all sorts of doctors and researchers take out into the field. Our machine is so cool because it really makes qPCR organism detection accessible for all sorts of doctors, scientists, and industries that previously wouldn’t have been able to test for the presence of DNA. Some examples are microbrewing, small scale agriculture and food production - really anything humans consumer that might have bacteria present. Our most obvious market is academic labs. These customers are scientists already familiar with PCR technology. They're literally looking at thousands of different things in the samples they test. 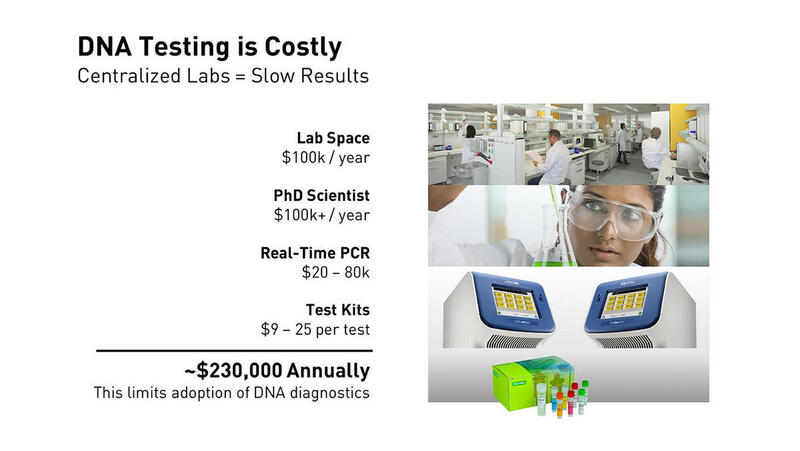 We are 10x cheaper than the traditional PCR machines, so labs who have lower funding are buying from us. A really big market is global health. This is health care in developing countries. If you were to go to a doctor here in the U.S., and you wanted to have a test done for any sort of infectious disease, your doctor would run it in their own lab. But in developing countries, they can't afford these types of instruments for their local clinics, and even if they could, the machines are too big to take out into the field. We solve the cost problem, and are small enough for doctors to diagnose patients on site. Malaria, TB, ebola, dengue fever: there are just so many tropical diseases around the world that we can help doctors detect in-field. Those are the two most immediate markets. There's also a much bigger potential in small and medium-sized businesses that really need a cheaper way to test their products for contamination. For example, micro brewers need to test their beer for spoilage organisms. A beer might taste and appear fine because humans can’t detect a few trace organisms - but a month or two later those few trace organisms could ruin thousands or millions of gallons of product. Large breweries have labs on site but smaller breweries have to pay thousands for outsourced labs or run the risk that their product might spoil. With Open qPCR even home brewers will be able to ensure their beer is clean and ready to drink - this is a huge market opportunity for us. The food and agriculture industry is another. Anybody who's dealing with the technology of life needs to test for contaminant organisms in their products. A specific example is animal breeding and veterinary medicine. If animal breeders and livestock farms can genotype their whole population of animals, they can selectively breed much more accurately to develop the traits that they're seeking.Anyone that needs to test DNA or detect the presence of organisms are potential customers. Can you discuss potential partnerships? 3-4 organizations are ready to send Open qPCR to field stations around the world to test for disease like malaria and tuberculosis. A number of partners are ready to outfit their veterinary hospitals with Open qPCR. Various partners in the jewelry market have expressed interest in using our machine to test their materials for purity. Several potential partners in public health and water testing have also reached out - most of them were actually trying to build their own machine before they came across Open qPCR. We couldn’t be more thrilled to get the machine in the hands of as many use cases as possible. And because it’s open source, these users can all develop exactly the sorts of tests they need. What are the functional differences between your machine and existing ones? 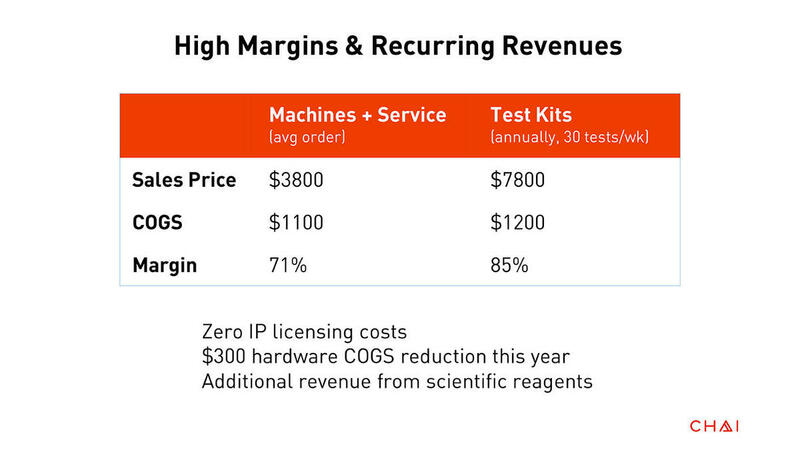 The cheapest lab machine currently costs $20,000 and is made by a company called ABI. It can process 96 samples at a time compared with our 16 samples, the the ABI machine processes them at a slower rate. Most of our customers have no problem with that reduction because our machine is twice as fast and so much more affordable. Plus our software is new, open source, and generally easier to use and customize. Other labs are paying $30k-$100k for their machines - none of which are more accurate than ours. We've designed and prototyped the machine over two years, and the first units started shipping last December. We’re currently manufacturing machines at the rate of 25 per week.We’ve also developed and manufactured a line of reagents and consumables, which will be hitting the market in a few weeks. This is a key product as it brings us recurring revenues.We’re currently developing application specific test kits, which contain everything needed for non-scientists to run specific tests. 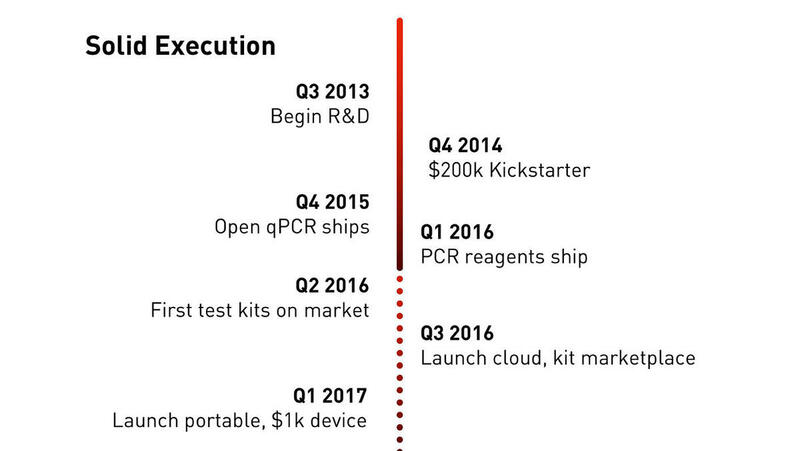 We expect the first test kit to be on the market in Q2, and we’ll continue to launch new ones throughout the year. When will a non-technical person be able to run a test? When we release our first test kits in Q2, non-scientists will truly be able to use our machine. Our challenge then will be to scale the number of test kits, as there are literally thousands of different kits you could have for different tests. We plan to launch kits primarily in response to customer demand, but also partner with third party kit developers to scale the kits faster. Why do you produce in the US? Why don’t you increase production capacity? Producing in the US ensures that we can actively monitor quality and perfect the design as our initial users give feedback. Our machine is fairly complex with electrical, mechanical, thermal, and optical components, and there’s little margin for error with much of DNA testing. Even the best factories here in the US require some oversight when producing for the first time and our hardware was no exception. We also chose to stay local for the time being because our current manufacturer is certified with medical device production. Doing final assembly in the US does add costs, but not as much as you might think. 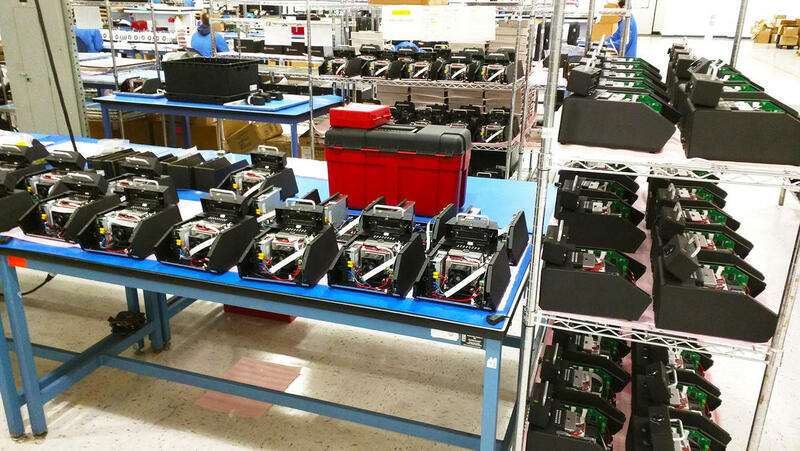 We have sourced many of our ~40 custom parts from suppliers in low cost countries, and these specialized components are much more significant than final assembly in the costs of our machine. We’ve spent the last 8 months focused on perfecting this supply chain, and it’s something we’ll continue to build out.There are certain costly components we’re still sourcing in the US, and sourcing these components better is the low hanging fruit for decreasing costs further. It’s something we’ve wanted to do, but finding overseas suppliers who can deliver the required quality takes time. Altogether, we expect to decrease production costs by another $300 over the next six months, bringing COGS down to ~$700 and widening our 70% margin even further. Once volumes warrant it, we’ll consider moving assembly overseas as well, but that’s not an immediate priority. 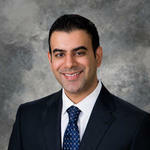 Initially most of our revenue will come from machine sales and service plans. Our current machine goes for $3,000 with 70% hardware margin, which will increase as we scale manufacturing.The real revenue opportunity are the reagents and consumables used in the machine. Users need reagents such as fluorescent dyes to perform the test reactions, as well as consumables to hold the sample. In addition to selling them separately, we package everything needed in application specific test kits. The margin on these products are quite high, around 85%.Customers need these supplies every time they run a test. For instance if a small livestock producer runs 30 tests per week, a very modest number, that’s $7,800 in annual revenue at a 85% margin. The machine is really just the initial entry point - customers will continue to buy from us long after they purchase the hardware. 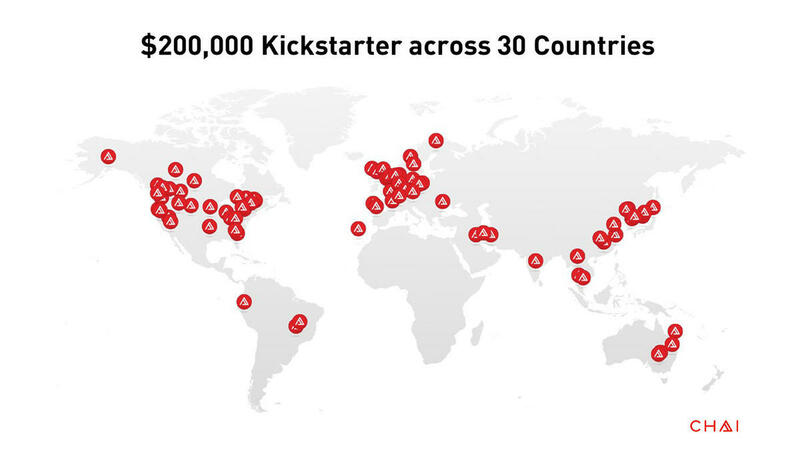 We started with a Kickstarter campaign that resulted in $200k in presales. Back then we only had a prototype and needed a few months to setup and perfect our supply line. Because of this we’ve done zero promotion since Kickstarter but word-of-mouth has resulted in another $300k of pre-orders on our site. Now that we’ve filled our backorders we’re ready to switch into full marketing mode. We already have 800 customers on a waiting list ready to order. We have a two phase strategy. Our early customers are scientists that like our openness, cost, and portability. The current PCR market is about 8 billion dollars, and could be expanded further with low-cost devices. The great thing about this first phase is it’s very low-risk: scientists already know how to use the device, so we can easily make sales to bring in revenue and increase volume to reduce costs.The second stage is about enabling the new users that don't know how to do PCR and need it simplified. The easiest market in this stage is global health, or healthcare in developing countries. 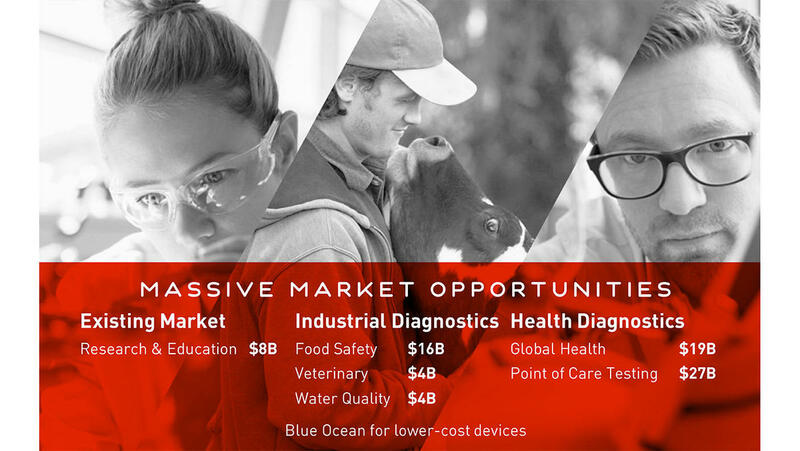 This is a huge market, diagnostics for which alone are estimated to be $19 billion dollars, and one with existing channels that can deploy devices quickly. Beyond that, we want to start drilling into small and medium businesses, especially in agriculture, food safety testing ($16b), veterinary diagnostics ($4b), and water quality monitoring ($4b). No machines on the market come close to our price point. Our main competition are the existing traditional lab devices, and certainly there’s some inertia in the labs currently purchasing them. Some existing users are a little bit suspicious: is the quality as good, will the machine perform properly? This perception is our main challenge and one that any new company needs to overcome. I think once our machine is in the market, and customers are able to see social proof from other scientists and peers that it's working well, we will get past it. We’re not so much trying to compete with the existing PCR providers as we are trying to open up new markets. How does the machine work exactly? The goal of the machine is to amplify a particular segment of DNA until there is enough of it to detect. This segment may or not be present in the original sample, but if it is present, it is present in only minute quantities. So we copy this segment exponentially. If no target DNA is present, none will get copied, while if some were present, we’ll generate billions of copies -- enough to detect and generate the diagnostic result. This process is called Real-Time PCR. You begin by creating a mixture of your sample and some reagents, including some which are specific to the DNA segment you are targeting. This is usually accomplished with the help of a kit to make it easy. You put this mixture into the device, which then thermally cycles the mixture. It increases the temperatures to about 95 Celsius for around 10 seconds, and then decreases it to roughly 60 Celsius, and back up to 72 degrees. It then repeats the entire cycle, and each time it cycles, the amount of the DNA that you’re targeting doubles. We run about 30-40 cycles to multiply that DNA more than a billion times until there is enough of it to detect if it was present in the first place. The second part of the process is detection. We use fluorescence to detect whether that multiplied DNA is present or not. We introduce reagents that only light if the target DNA is present. We have an optical solid state system that basically shines blue light at the sample. If the DNA is present, that blue light is converted into green light, which then goes through an optical filter and is detected by the device. Do you have any IP? While we are patenting our detection architecture, our primary strategy for creating a sustainable advantage lies in the community and eco-system we are building around the device. Our diagnostic partners are integrating with our machines at a very deep level in terms of the software and analysis. That community and that ecosystem is not something that can be easily copied by competitors.The core PCR technology that we run is open source. We’ve worked with some top lawyers at Wilson Sonsini who specialize in DNA and PCR technologies to ensure we have freedom to operate, and we've made a couple of designs decisions based on that. How does your community strategy work? By creating an open source project we can become the de facto place for if you want to learn about PCR. We’re building a community not just around our device but around the tests themselves. Many scientists focus their Masters or a PhD theses on developing a test to detect specific DNA. There is a wealth of this information in published papers, but that information isn’t aggregated in one place where people can certify the validity of the test. Some of the tests work great and some of them don't work at all. We want to to organize all that information into a structured database where anyone can search for the most effective tests for the DNA they are looking for. You can search restaurant reviews on the internet in a structured way, and you have a lot of community input on what’s good and bad, but you don’t have that in most science applications and certainly not in a PCR diagnostics. With us people will be able to find all the tests for specific DNA and determine which are working and which aren’t. Customers can click a single button to buy a test kit from us and learn how to use it step-by-step. Ultimately, it is kind of like the Shapeways business model and that’s how we can make this accessible to the non-scientists that have business applications for it.We have a huge mailing list of scientists and early backers from our Kickstarter. We are shipping in matter of weeks. Once we get our initial device out, then we get to focus much more on building the community of scientists. When we are about 6 months out we are going to focus on developing the structured database that we discussed and begin selling the test kits. Tell us more about the global health applications? The great thing about our Kickstarter is that it caused a lot of the organizations working on global health problems to reach out to us. 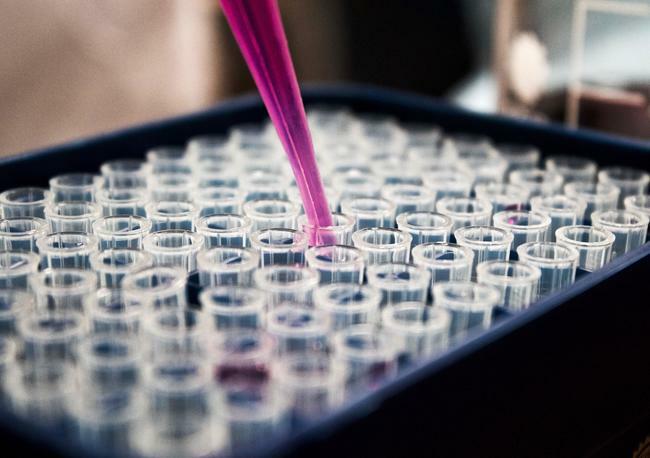 We’ve spoken with leading researchers working on tropical diseases, as well as companies such as Co-Diagnostics that are deploying infectious disease test kits at great scale. We’re seeing a common pattern where an organization has developed a particular low-cost test for some infectious disease, and are looking to deploy the test on a really wide scale, but are lacking a suitably low-cost instrument to perform their test. That’s the biggest obstacle blocking deployment -- all the work going into developing these low-cost tests is for nothing if there’s not a similarly priced machine to perform them.The only obstacle left is getting our machine and validating that their test works. So they've placed orders and are awaiting us to fill them in April. Once we’re able to validate that, they already have channels and distribution partners lined up for the specific markets around the world. What’s your background and how did you come to this? I’m a software guy and worked in a number of software startups in the Bay area, developing systems for mobile phones. I developed some of the first software for video streaming over 3G networks, and then worked at another company called Orative which extended the functionality of your enterprise desktop phone to mobile devices. That was bought by Cisco and is now part of their unified messaging applications. After that, I got really interested in biotech. I spent a long time reading all I could about synthetic biology and basic bio sciences. I also worked on a small bioengineering project, to create a type of cyanobacteria that would ferment ethanol that could be potentially used as a biofuel. Jyothi Vishnumangalam, PhD is our lead scientist and joins us after conducting research at Stanford. Winnie Brehmer heads up operations, and joins us after managing a scientific user program at the Stanford Linear Accelerator (SLAC). Norberto Landicho is our lead mechanical engineer who did the mechanical and industrial design of our machine from scratch. 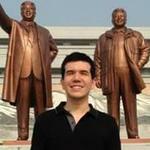 Nick Totoro is our UX designer and was instrumental in making our software and platform easy to use. We also have a number of software engineers who we've been working with part-time to build the code that runs the machine in real-time and creates the user interface, and a full-time production technician who produces our reagents, test kits, and pilot runs of our machines. One risk is people will try to copy what we're doing. Right now we stand out as the one company building a low cost PCR device. We're not at all like the traditional companies, we’re not at all their price point, we are not going after their market, but they may copy us. Our strategy is to create a sustainable advantage by building a community and ecosystem around our platform. We’re also leaps and bounds ahead in terms of learning about designing our kind of device, but I would say that's the biggest risk to our company.As far as the hardware goes, there are really not many technical risks, because we didn’t invent PCR technology. This technology is 20 years old. Our innovation is the machine itself, and gearing the technology towards a whole new group of users that require a different ease of use and price point. As we get into the test kit development, things certainly can get more technically challenging. Do you see yourselves as part of a larger biotech trend? We see a lot of innovation happening in other fields, such as 3D printers. This innovation is just starting to happen in biotechnology. We’re seeing biohacker spaces and incubators pop-up across the country providing a low-cost environment for people who are just starting out and are not ready to start their own company yet. Our devices are playing a big role in these spaces. We’re building devices that will either talk to each other or also are connected by some sort of creative platform. If you look to synthetic biology, people are trying to engineer very complex systems, and a lot of that comes down to constructing pieces of DNA, which is a highly automatable process. We’re positioning ourselves so if you're doing automation and you need real-time PCR, we become the de facto choice because Chai is so easy to integrate. Can you discuss the long term vision? Our grander vision is to democratize biotechnology. We have tremendous technology available to us, but for the most part it’s locked up in laboratories. We want to bring the benefits of biotech to everyone who has a need for them, similarly to how computers, 3D printers, and drones have been democratized.As a startup we necessarily need to focus, and so have started with DNA-based diagnostics. We’ve brought instrument costs down by an order of magnitude, and made the process easier for non-experts with software integrations and test kits.Over the next year, we’re going to continue along that vision further. We’re developing a new, more portable, lower throughput, ~$1000 machine that will expand access to this technology even more. We’re also looking at further automating the sample handling to make it even easier for the user, and ways to improve the test time. Our current device takes about 30 minutes to run a test, but we eventually want a device that takes only 5 minutes, or even shorter.Our long-term vision is to make the Star Trek Tricorder, and we will one day, but we’re being smart about how we do it. Other companies have raised many tens of millions of dollars to pursue this vision, ended up with a one-tricky pony that didn’t come close to the diagnostic capabilities of the Tricorder, and then crashed and burned.We’re approaching this vision more incrementally. One of our greatest advantages is, as the leading company democratizing these diagnostics, we are in constant communication with the most progressive, early-adopter users. We speak daily with users attempting to deploy this technology into the field, in ways it never has been before. We’re speaking with users in AgTech, veterinary medicine, food production, brewing, etc. We know their pain points, and are responding to them through our hardware designs, test kits, and collaborations. While they too want the Tricorder, they realize there is so much value we can provide with our solution today, and this allows us to understand the true market opportunities. So while our long-term vision is to build the Tricorder, our strategy is to incrementally deliver high-value products, and maintain product/market fit on the majority of our products at any time. Ultimately, I think this gets us to our vision the fastest. 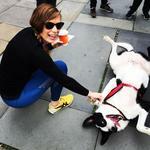 Chai is conducting a Regulation D offering via Wefunder Advisors LLC. CRD Number: #167803. Thanks for vouching for Josh! If you'd like to invest in Josh, please open an account. We'll waive your fees if you do it now. We asked Josh for 10 personal references. Can you vouch for Josh?